There are several essential elements when it comes to operating a business and sales forecasting is one of those that are worth spending more time and effort on. The truth is that while it is common knowledge that accurate sales forecasts help develop and improve a company’s strategic plans, very few have mastered the art of doing so. Having an accurate sales forecasting model that can yield the desired results that can help the company is a huge problem area for many. Coming up with sales forecasts that are not far-fetched, are useful and are relevant remain to be a challenge for many organizations. It is a task that many aspire to improve because these sales forecasts become the source of data that permits a company to virtually handle all elements of the operations. Imagine making significant operational decisions based on inaccurate and poorly crafted sales forecast. That could offer more damage than assistance to an organization. 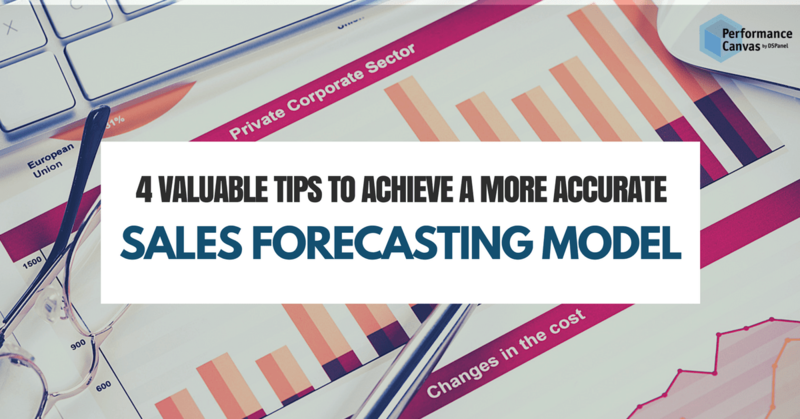 This is why we have come up with 4 simplistic but effective tips on how to achieve a more accurate sales forecasting model in your organization. We hope you find them useful. Past sales do not necessarily predict future sales because there are other things to consider such as release of new products, introduction of newer and better versions, new markets, new competition, aggressive promotions, etc. However, your past sales serve as a good starting point and foundation when you try to assess other potential factors that could either increase or decrease sales in the coming year. If your company has not started with analytics and improved tracking methods that can be associated to goals and conversion rates, now is a good time. As they say, to know which direction to move forward, you must first look backward. The first rule is to make sure you have enough leads. True what they say, quality of leads matter. However, increasing the quantity of leads also increases the likelihood of deals to close. Set a minimum number of leads that must be generated and then aim to increase them every quarter. Once you have that, understand your conversion rates and plan how to improve these rates. Your sales forecast must always take into consideration varying “what-if” scenarios. They must be scenarios that can be answered through data collection. It is important to not only make predictions based on the numbers on hand but also to pair these numbers with qualitative information in order to get a more wholistic view of the business. It is common for sales persons to be quite optimistic and we don´t blame them. They need that positive energy in them to drive them to work harder. However, it is important to not assume that every quarter and every year will yield positive results. Sales numbers must be in between “this is going to be a great year” and “this will be a terrible year”. Include in your sales forecasts worse case scenarios such as resignation of your best sales agents, delay in new version or product release or any other potential setbacks. Finance experts say it takes a lot of time learning, updating and adjusting before you can achieve a good and accurate sales forecasting model. Finding the strategies that will work best for your company requires a lot of trial and error. Given that accurate sales forecasts become the basis for many operational decisions, it is important to keep trying until you find a good combination of strategies that will yield the best albeit most accurate sales forecasts.